Kids say the darndest things. They also leave the biggest messes. 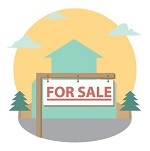 That could turn off potential buyers when trying to sell your Havasu home. Great curb appeal won't hide a chaotic interior. 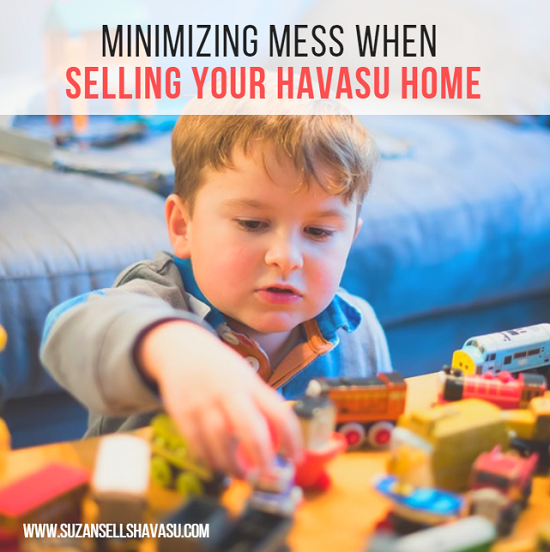 Minimizing mess should be a Havasu home seller's priority. It's easier than you think to keep the kids' stuff in check. Storage always seems to be an issue. No matter how large our Havasu homes may be, we always seem to be searching for places to stash our things. Luckily, many furniture manufacturers understand this problem. They've designed many pieces that serve multiple functions, including minimizing mess. If your kids' toyboxes overflow and their playthings continually make their way into the living room, hide them away in an ottoman, decorative trunk or fashionable cabinet. Add large woven baskets to your home decor to tuck away stuffed animals and other playthings. Incorporate hidden storage into your living and/or family rooms whenever possible. This makes picking up before a showing a snap. When minimizing mess, consider storing extra clothing and toys in rolling containers under the bed. You can also utilize colorful fabric totes or wicker baskets on shelving units or inside closets. Keep artwork in fun portfolios and put art supplies in colorful cans or cups housed neatly on a desk, tabletop or window sill. Make a game of putting odds and ends away at the end of the day to encourage your kids to keep things tidy. All kids own toys they don't play with anymore. We keep some around for sentimental reasons. Minimizing mess means purging the excess. As part of your home staging efforts, you probably packed up or donated a bunch of your own stuff. Explain to your kids that you're donating the things you don't use anymore but that someone else can use. Ask them to bring you the toys they don't play with anymore. Tell them that there are other children out there who don't have any toys to play with. Wouldn't it be nice to let them have these, especially since your child isn't using them anymore? When given the opportunity to help others, kids tend to be amenable. Include any old games they've lost interest in. Including your kids in any efforts towards minimizing mess helps foster a sense of responsibility. It can also create a sense of community by assisting the less fortunate. All this is good for their well-being as well as the sale of your Havasu home. Contact me if you have any questions.